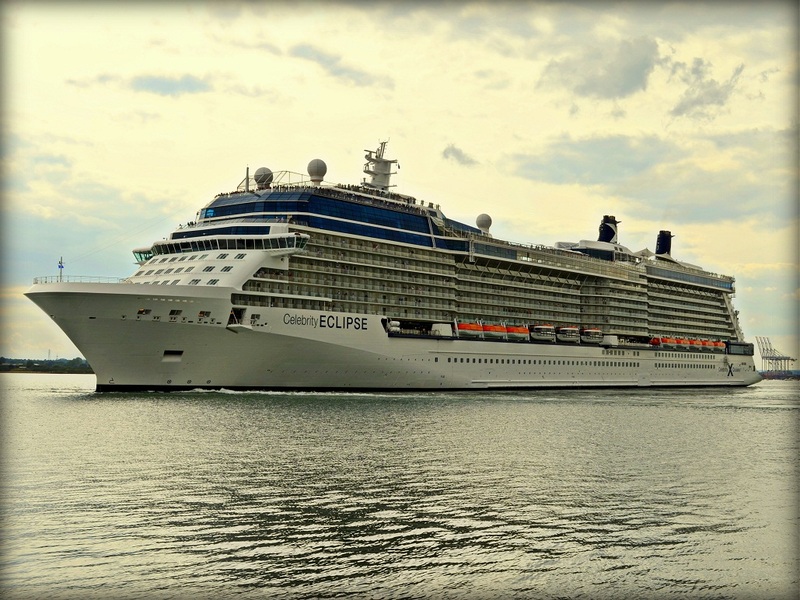 It’s time to once again let guest blogger, Scott take the helm as he brings you his recent Norwegian Fjords voyage aboard Celebrity Eclipse. Having only got off Celebrity Eclipse from a 14 night med cruise three months before, it was something of a special treat to be going to sea again so soon. I’d weighed up all the options and already decided the Norwegian Fjords would be the destination again after being wowed by the sights last year on P&O’s Ventura. 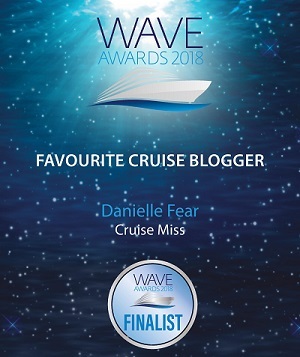 The choice of which line and ship ultimately came down to a straight fight between RCI’s Adventure of the Seas, P&O’s Azura and the wonderful Celebrity Eclipse. Having worked out a complex scoring system, Eclipse came out on top despite being the most expensive option! 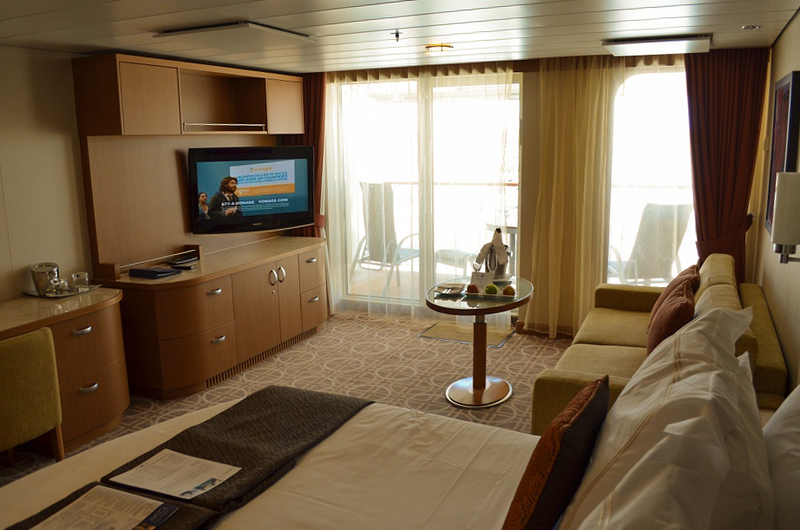 In order to keep the cost down just a little bit, we opted to book a guaranteed balcony cabin instead of paying more for the luxury of picking a specific cabin. As it turned out, this was a very smart choice. 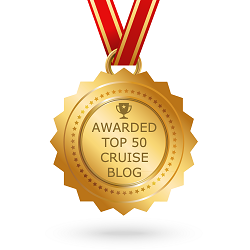 Due to previous cruises with RCI and Celebrity, our loyalty level was quite high and when we were notified a week before departure that we had been upgraded to a concierge cabin mid ship on deck 10, we were more than happy. When the travel agent then rang three days before boarding advising we had been upgraded again to a Sky Suite (complete with butler) we were beside ourselves! 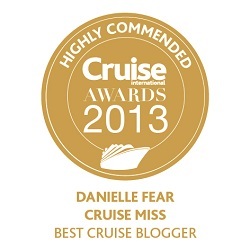 The only downside was that it was right at the aft end and high up on deck 12. That meant the view from our oversized balcony would be slightly obscured by the big overhang from above. It was also directly under the buffet restaurant, so we knew there would be noise from above. All things considered though, we decided to go with it for the other added benefits a suite brings. Sailing away from Southampton we were blessed with a beautiful sunny day which meant I managed to finally achieve a long held simple ambition of getting in the pool at sailaway. With the forecast for the Fjords being typically Norwegian, we decided to stay on deck and soak up the sun while it lasted. With everyone else disappearing down below to get ready for dinner, we had much of the top deck to ourselves and decided to stay there and enjoyed a simple burger at the Mast Grill al fresco for dinner. Already familiar with the ship, we decided to have a relaxing evening just taking in the sights and sounds of being at sea instead of carrying out the usual exploration of the ship. That’s sometimes a nice benefit of going back to a familiar ship. The pace can sometimes be a little slower at first because you know what awaits on the lower decks, there’s no desperate need to go and explore. The following morning we enjoyed breakfast in our cabin, another little goal we had set ourselves, and spent the rest of the day continuing with the relaxed theme. We were in no rush and had no desire to do anything except enjoy the beautiful sea view. The weather got steadily worse throughout the day as we made our way up the North Sea. By dinner time it was quite rough and very windy. Getting ready for formal night was interesting to say the least, swaying around the cabin and barely able to stand in the shower! Unfortunately my wife had forgotten to take her sea sickness tablets and that lead to us cutting dinner short to get some fresh air sat out in the solarium in all our finest clobber. The following morning we awoke to find ourselves in the approaches to Bergen sailing by lots of small rocky islands, sparsely populated by the occasional colourful wooden hut like houses. 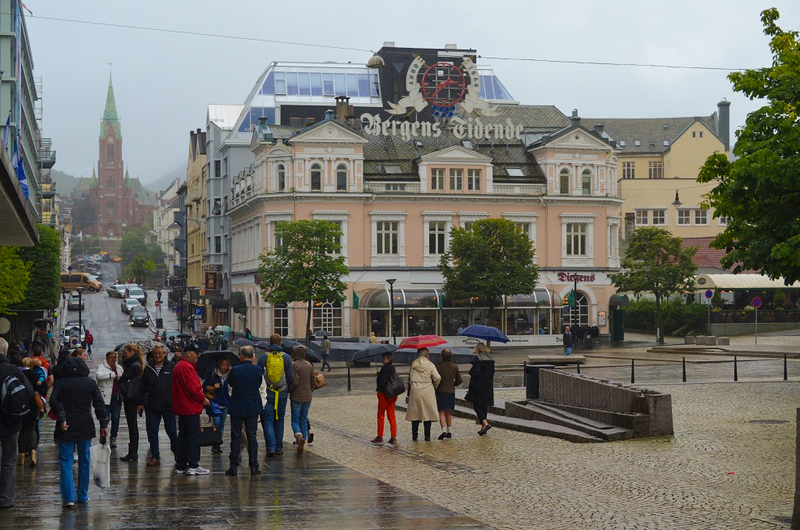 Bergen itself is a big and busy town. The ship docks in the main port which is a working port, meaning that you can’t just get off and go for a stroll. Free shuttle buses to the town centre were, however, provided. As we were going to be there all day until 8pm, we decided to let the crowds get off first whilst we enjoyed a lazy morning and a relaxed lunch. That turned out to be good thinking and the queues that had been the length of the ship earlier were gone by the time we got off. We jumped on the bus and only a few minutes later were in the town centre. We had a quick look around in the grey drizzle. It was a pleasant stroll but, unless you are a shopaholic, I would recommend exploring further afield than the town centre as there are more interesting sights to be found. Back onboard we were greeted by our butler with a very welcome light afternoon tea. The early evening was spent enjoying a free meal in the Italian specialty restaurant, Tuscan Grill, courtesy of our suite status. The menu was quite authentic and the minestrone soup, prosciutto with 12 year old parmesan cheese and spaghetti bolognaise went down very well with me, while my wife enjoyed an amazing fillet mignon. After dinner we made our way to the Oceanview Bar, an outside extension of the buffet restaurant at the aft end. 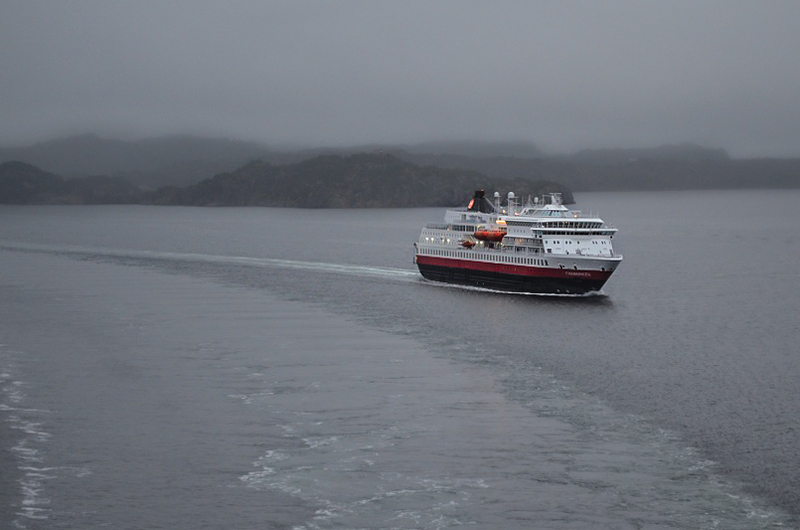 Despite the constant drizzle it was a sheltered and relaxing place to sit as we watched Bergen disappear into the mist whilst Hurtigruten’s Finnmarken chased us. We spent a very pleasant couple of hours sat there playing Scrabble and chatting to fellow passengers. In all it was a quiet evening and a well needed time out. The following day would see us arrive in Flam where we were booked on the Flamsbana mountain train excursion………………….. I would like to ask Scott about his Complex Scoring System. 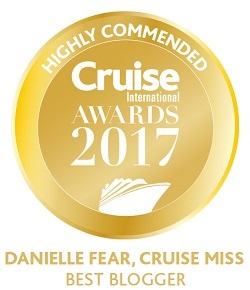 Hi Tony 🙂 You can send an email to cruisemiss@live.co.uk and I will pass it on to him for you.